Produces controlled, calibrated, predictable stress on lower leg, ankle, and foot. It is ideal for closed kinetic chain exercise and simultaneous strength, ROM, and neuromuscular rehabilitation at multiple joints. 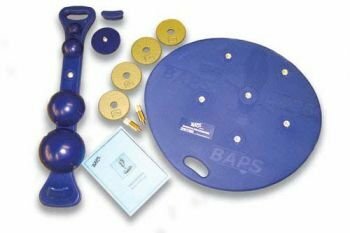 If you have any questions about this product by BAPS, contact us by completing and submitting the form below. If you are looking for a specif part number, please include it with your message.